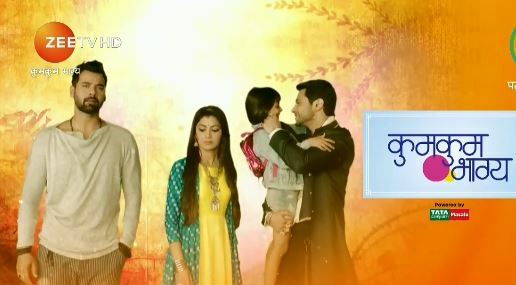 Zee’s Kumkum Bhagya will be soon taking a big leap. There will be happiness round the corner with Abhi and Pragya’s union. They will be a happy couple in love once again. Sriti Jha and Shabir Ahluwalia’s love saga Kumkum Bhagya has gained much fame because of their wonderful chemistry. The actors will still be a part of the show, while the story will be going 20 years ahead. The leap will bring fresh faces and tracks around Abhi and Pragya’s daughters. The couple will be blessed with twin daughters Prachi and Riya. They already have a daughter Kiara. Their coming children will be bringing double joy in their lives. Prachi will be completely sensitive like Pragya, while Riya will be spoilt and pampered much by Abhi. Abhi and Pragya’s romance and love will be tested once again after the big leap. King and Tanu would be joining hands to attempt Abhigya’s separation. The twists with the leaps look very much promising. Leap is getting introduced to sustain the TRPs, since there has been a little dip in the show ratings. The show will be getting more interesting twists with a fresh start. Would you like the huge leap in Kumkum Bhagya? Let us know your take on this show.